Situated in the revitalized downtown business and entertainment district, The Westin Phoenix Downtown is a stylish hotel near the city's most compelling attractions. Upscale comfort awaits in contemporary rooms and suites, stylishly appointed with luxury amenities, modern essentials, signature Westin Heavenly® beds and beautiful views. Explore celebrated attractions, including the Phoenix Convention Center, Chase Field and Talking Stick Resort Arena, all within walking distance of your spacious room. Savor distinctive, farm-to-table seasonal cuisine at Province Urban Kitchen & Bar. 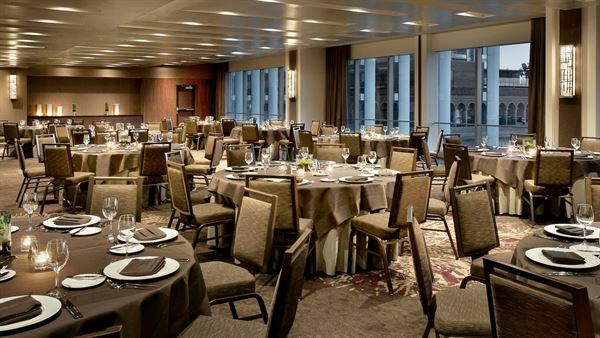 Celebrate and succeed in sophisticated meeting and event space, enhanced by expert planners and custom catering. After a full day of business or fun, rejuvenate with a soothing massage or take an exhilarating dip in our gorgeous Lapis Terrace Pool. With a prime downtown location across from the Light Rail stop, our Phoenix hotel is a haven in the breathtaking Valley of the Sun.